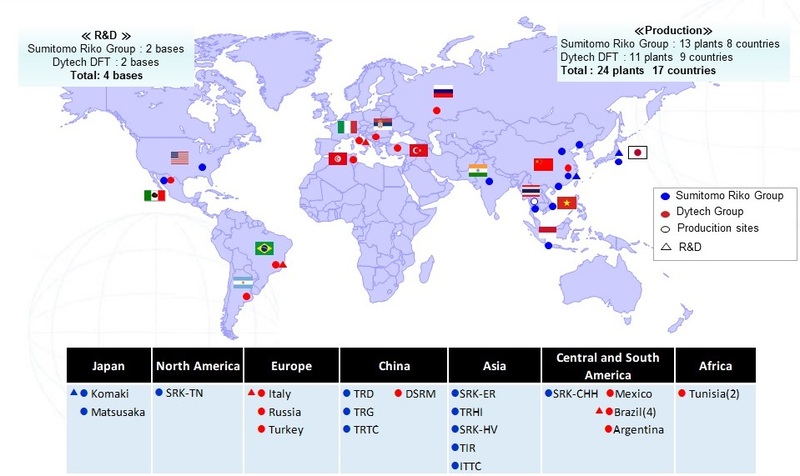 A Comprehensive Global Network The Sumitomo Riko Group is a world class manufacturer with major plants located all over the globe. The company has been built on a solid foundation, taking growth step by step. Our strategy for continued expansion involves careful consideration of the investment climate of each targeted country. 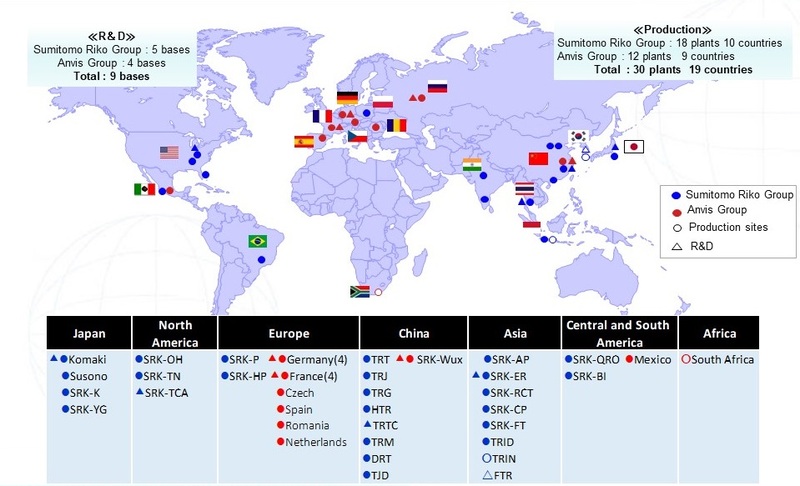 We now have a strong and comprehensive global network, with each of us working for the mutual benefit of the other, in areas such as technology transfer and technical know how. This culture of co-operation has been, and will continue to be, a key factor of our success.